Whenever you need to remove a tree off of your property, it almost always leaves a stump behind in its place. And while that may not seem like a huge deal at first, you’ll soon find them taking away from the rest of your home’s beauty. Not only that, but pests begin to live inside them, increasing your risk of having termites and other insect infestations. When your yard has one or more tree stumps left behind, the easiest way to handle them is with professional stump grinding and removal services. Using a commercial grade stump grinder, you can have your unsightly dead tree stumps ground down to nothing, making your yard prettier and healthier. Hiring Arborist Advantage is always the best solution to your yard’s stump problem. 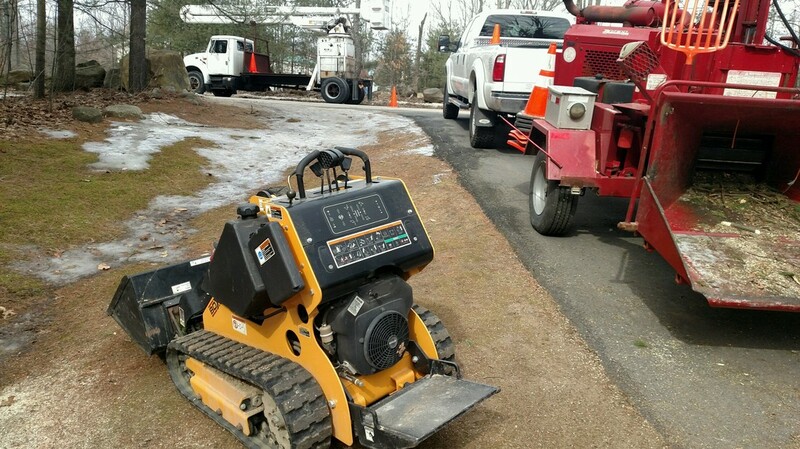 We’ve been helping more local Saratoga Springs, NY with expert stump grinding for many years now, and we’re ready to help you. We use top quality tools and equipment and a team of local certified arborists. We have the training and experience you can depend on for the best stump removal services each time. With better quality of service and the lowest rates possible, you’ll get the best value possible with our team. Some homeowners try to handle their roots themselves by trying to pry them out of the ground. You could spend hours trying to dig up the roots or the ground around them. But with our best stump grinding services we can remove any stump in no time at all.